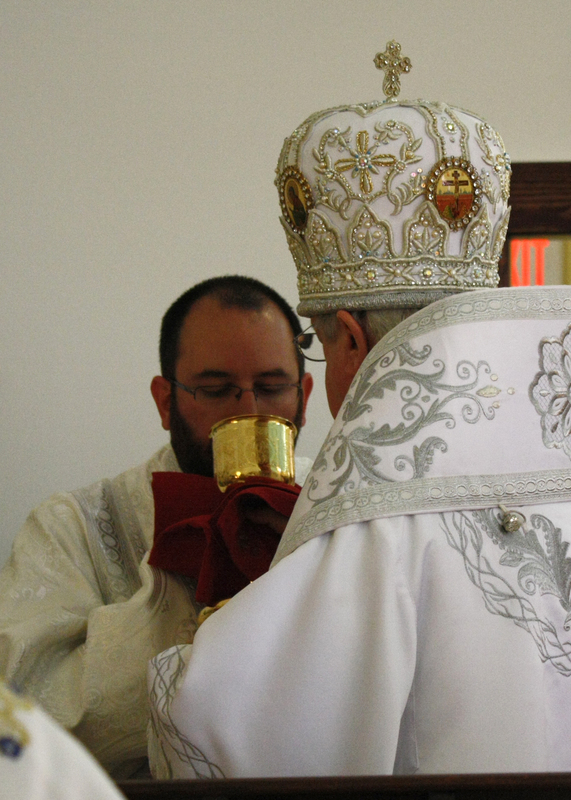 Deacon Michael was ordained to the diaconate by His Eminence Metropolitan Antony in April of 2015 after completing three years of coursework at the St. Stephen’s House of Studies. He has enrolled in the Priestly Formation course at St Sophia’s Seminary and has taken the Youth Ministry certification class offered through St Sophia’s. His ministry is supported by his wife, Matushka Faith, and their 5 children: Brendan, Betsy, Andrew, Justin, and Owen. Dn Michael answered God’s call to serve His church after much encouragement from Fr Anthony Perkins. His love of the church’s Liturgical life was formed in his youth when he was trained as a choir member and bell ringer. He currently works as a Sr Business Analyst for a software company within the life insurance industry and enjoys spending time with his family.